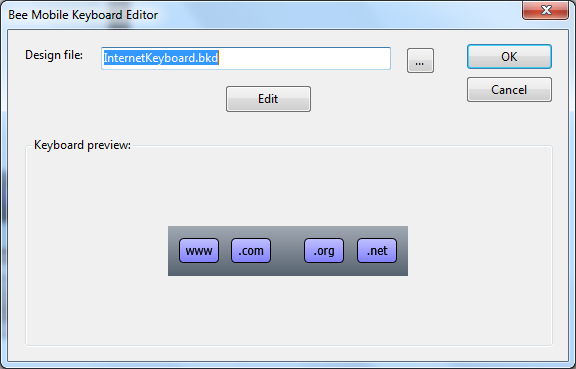 KeyboardControl is a .NET Compact Framework control which allows you to create custom keyboard layouts during design-time. Then during run-time you can display the keyboard to the user and change the layouts based on the requirements of the application. In this tutorial we will show you how to create a new keyboard design and then apply it to the keyboard control. There is no keyboard layout created in the beginning, therefore the KeyboardControl only contains a brief information about this fact. Set the Dock property to Bottom to clamp it to the bottom of the screen. Make sure its Height (part of Size property) is set to 150.
typically at: c:\program files (x86)\Bee Mobile\iPack\KeyboardDesigner. 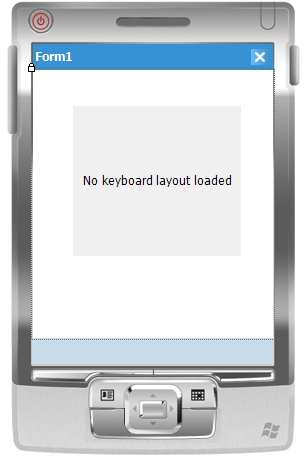 The client area of Keyboard Designer application represents the display of your device. The dark gray part represents the area of the future keyboard. Notice that the height of the keyboard is set to 150 by default. You should design your layout to the same height as the height of the KeyboardControl on your form otherwise it may not fit inside or it may be too small for the KeyboardControl. VGA (designed for display resolutions of 480×640). If you would like to have a custom sized keyboard layout (useful mostly for Windows CE developers), check the Custom size check box. You will be able to define the height and width of your keyboard layout in pixels. one design for each display resolution (there is no scaling of a layout performed by KeyboardControl). Windows Mobile developers usually adapt their applications to QVGA and VGA resolutions. If you want to have the same layout for both of these resolutions, you can create a design for QVGA, save it and then click VGA in the ribbon menu. Keyboard Designer will automatically scale your design to VGA resolution. You can save it and you have two layouts for two different resolutions prepared. By default the background of the keyboard is gradient-filled. The gradient-fill can only be vertical and starts at the top of the keyboard layout with Color1 which you can see on the ribbon. 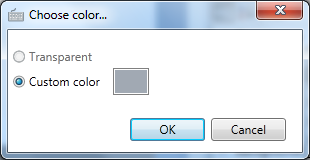 To change it, simply left-click it and then click the colored rectangle in the Choose color… dialog window which appeared. The gradient-fill ends with Color4 on the ribbon. Set Color1 and Color4 to same colors to get solid-fill. To get double gradient-fill, set Color2 and Color3 to particular colors (by default they are set to transparent). Please note that Color1 and Color4 cannot be set to transparent. In this tutorial we will set Color1 to a color with following RGB code: (161,169,179). and color picker will appear. Type the RGB color codes into it. To the same for Color4, but use this RGB code: (86,98,111). Design Color on the ribbon specifies the color of the background of the designer. By default it is set to pure white. Click and drag the button which has now appeared on your layout. You can move it around with your mouse or use arrow keys on the keyboard to move it with 1 pixel distances. You can drag the edges of the button to resize it. 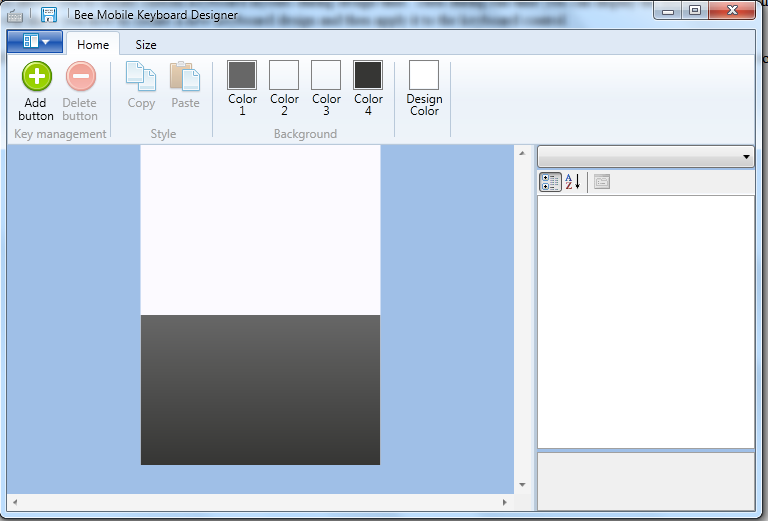 You can also set the size and location of the button using the properties pane on the right side of the designer. To make the button clickable comfortably with a finger make each button at least 22 pixels wide and 30 pixels high. 20×25 is an absolute minimum. Buttons smaller than this would have to be clicked using stylus. applies here as for the background of the whole layout. BorderColor Color of the border of a button. BorderColorPressed Color of the border of a pressed button. FontFamily Font family of letters which appear over the button when the Name property is set. See also Name property. FontSize Size of the font used for letters which appear over the button when the Name property is set. See also Name property. FontStyle Style of the font used for letters which appear over the button when the Name property is set. See also Name property. ForeColor Color of the letters which appear over the button when the Name property is set. See also Name property. ForeColorPressed Color of the letters which appear over the button when the Name property is set when the button is pressed. See also Name property. Radius Radius of the border around the button. Location Position of the upper-left corner of the button within the keyboard layout. Name Name of the button. This text will appear over the surface of the button. Size Size of the button. Data Name of a category. 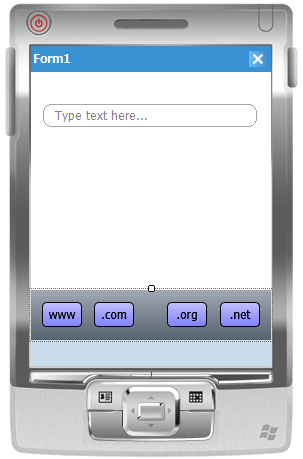 CustomText A string of letters which the keyboard will send to the focused control when the button is pressed. such as “.com” with one button click. Setting this property will automatically clear MappedKey and SpecialKey properties. MappedKey Specifies a key which should be sent to the focused control when the button is pressed. Setting this property will automatically clear CustomText and SpecialKey properties. SpecialKey Specifies a special key (such as Ctrl, Alt, PageUp, PageDown, etc.) wihch should be sent to the focused control when this button is pressed. Setting this property will automatically clear MappedKey and CustomText properties. Button behaves in such a way that immediatelly after it’s been pressed it goes automatically back to the un-pressed state. CheckBox stays pressed until it is clicked again. Modifier stays pressed until any other button is pressed. Add buttons to your design and set their properties until you are happy with the created design. that if you add one button to your design and change its properties, the next button you add will use the same Appearance property values as the one you added before. You can also use the following design which we provide: Click here to download ready-made design of a standard querty keyboard. 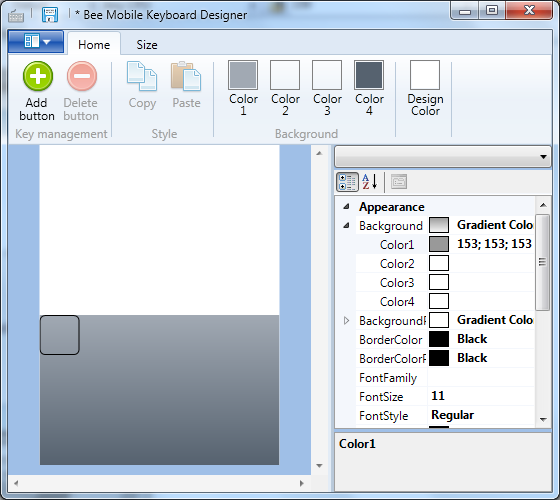 When you are happy with your design save it to a bkd (BeeMobile Keyboard Design) file. This concludes KeyboardControl tutorial. To provide feedback, please write to support@beemobile4.net.